Once you have submitted your payment, you will be redirected to the Member Information form. Please ensure that your pop-up blocker is turned off or add an exception so this form will open on your device. Your receipt and HALO MedCard will be sent to you by mail. If you are purchasing this as a gift, you are not required to complete information the form. 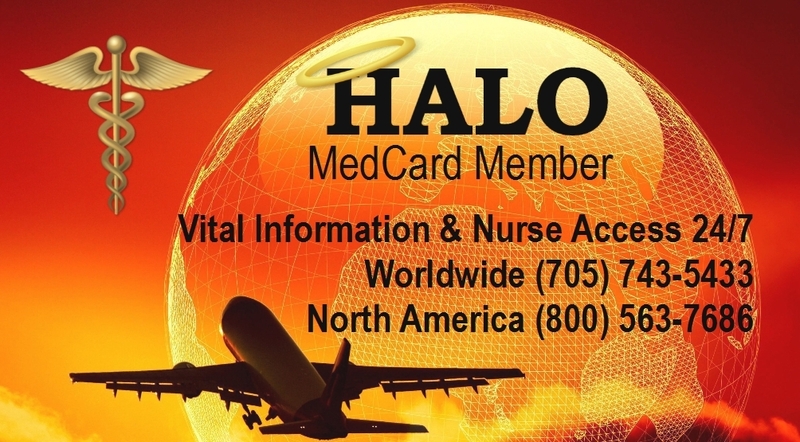 How did you hear about HALO MedCard? Angels of Flight Canada Inc respects your privacy. We will never sell, rent, lease or give away your information (name, address, email, etc.) to any third party except as part of the services provided as part of the HALO MedCard Program as agreed. Signature By signing below, I authorize Angels of Flight Canada to charge the fees as listed above to my credit card.